Umm… Flying a Drone – Where the hell did that come from? Why the racer 250? I used to fly gliders when I was a kid, and I’d have loved to go back to it, but it’s expensive. Turns out flying a drone is way cheaper and easier than flying a glider and can provide a flying experience, so well… Why not? RC is fun, but up until now I’ve only really used radio control cars before, and even then only as a kid so it was great but I never got to try the big boy’s toys.. So yeah. That’s why! It seems this is a particular style of flying called FPV (First person viewpoint – i.e. whatever the camera on the front of the drone sees, you see. In real-time. Wirelessly). This was an awesome idea. Something had to be done. Anyway, mine looks like this. And on top of that anything can be changed easily in case of breakages, upgrades, etc. 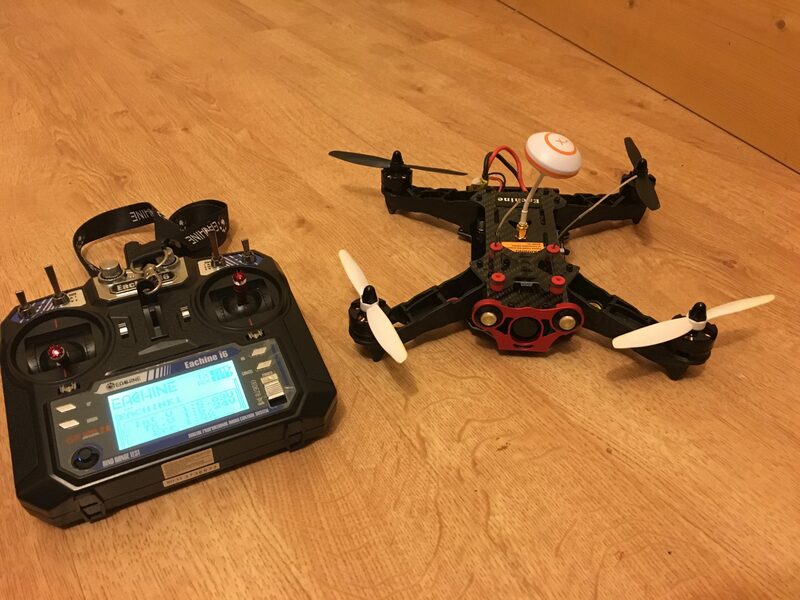 In short, a half way decent set up for RC Quadcopter FPV Racing, and a radio system you can shift to other RC models so it’s pretty versatile and a solid start. That said, I’m a total novice so I could well be talking sh**, but whatever I put up here is just my opinion.